Looking for a simple table that packs a punch in the style department? 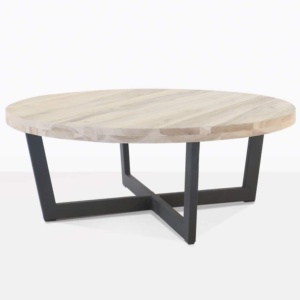 Set your sights upon our amazing Billi Reclaimed Teak Coffee Table. The Billi range, featuring this Coffee Table and a smaller Side Table to match, are effortlessly chic with a modish flair. 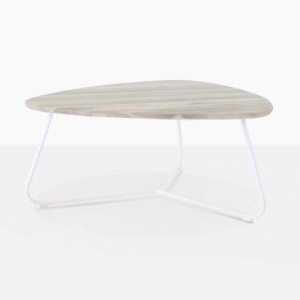 A smooth recycled teak table top is configured into a wide, rounded bean shape and fixed to three legs that wrap completely around, made out of industrial strength powder coated aluminium – it is the perfect urban piece to add into a modern home. The Billi Reclaimed Teak Coffee Table is one of a kind, injecting an attractive dash of glamour into any space. 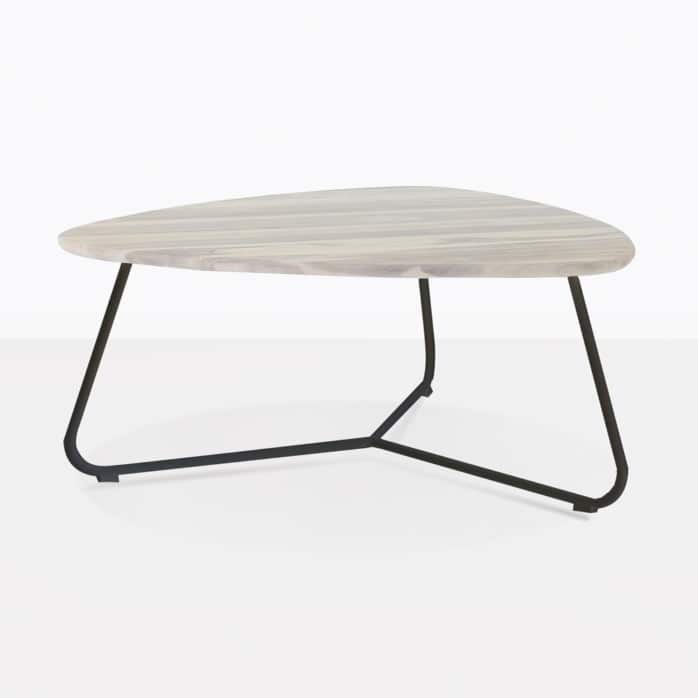 Whether you use the Billi Coffee Table inside or out, you will adore the elegance of this table. Situate your Billi Teak Coffee Table in the midst of a big bold deep seating set such as the grade a teak Amalfi range, put in a couple of rounded relaxing chairs like our Natalie Occasionals, and sit back and relax as your guests enjoy the splendor of your space that has that unique edge. 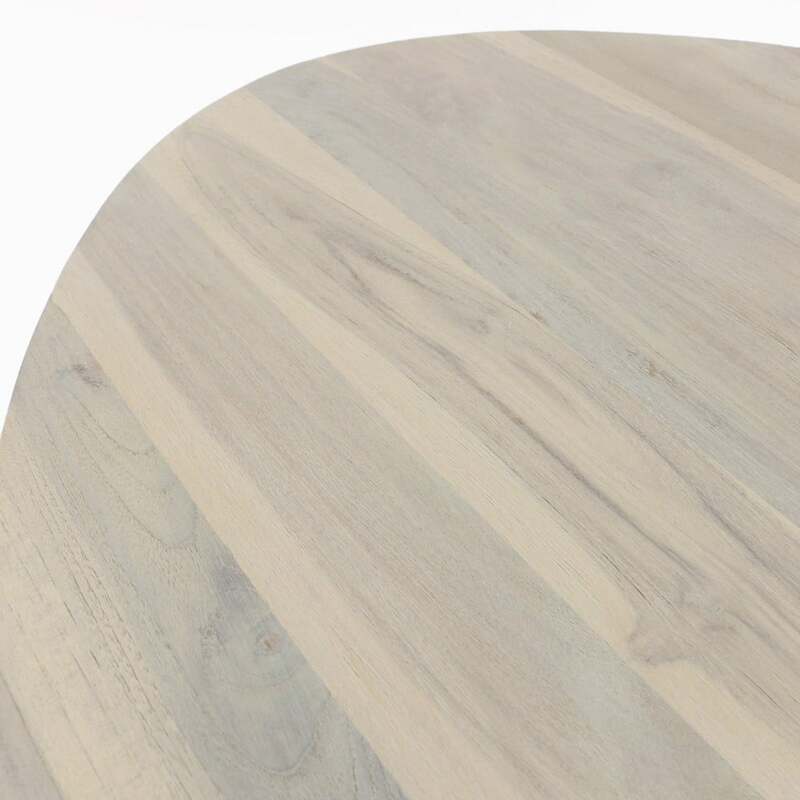 The materials in the Billi Table are top quality and look amazing! The legs are made from powder-coated steel, so you know that they won’t rust or corrode. Just another example of a high quality luxury product sold to you at wholesale prices. Design Warehouse is the leader in all things outdoor, for your very own open air living room, call us today! We can talk you through our vast array of tables, dining chairs, loungers and deep seating – because we want what’s best for you! So what are you waiting for? Call us today!